UN vote regarding moving the U.S. Embassy to Jerusalem. Former JAC President Betsy Sheerr with Sen. Bill Nelson (D-FL). people carrying guns throughout the country; revoking net neutrality. Join JAC in Washington, D.C.
Join fellow JAC members from around the country, hear from policy experts, meet with Representatives and Senators on Capitol Hill. The United Nations General Assembly defied warnings from the United States and overwhelmingly passed a resolution condemning the Trump administration's recognition of Jerusalem as Israel's capital and calling on countries not to move their diplomatic missions to the city. 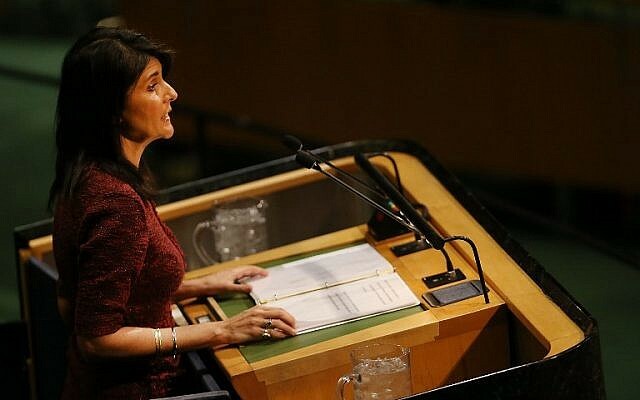 A total of 128 countries voted in favor of the text, defying the threats - that were forcefully reiterated by US envoy Nikki Haley - to cut aid to countries who oppose the motion. The danger is that Trump's row could spiral out of control, causing long-term damage to the UN and to the reform programme of the secretary general, António Guterres. The US has already pulled out of Unesco, and this week the UN high commissioner for human rights, Zeid Ra'ad al-Hussein, announced he was not seeking a second term, saying he would not bend the knee to the US. 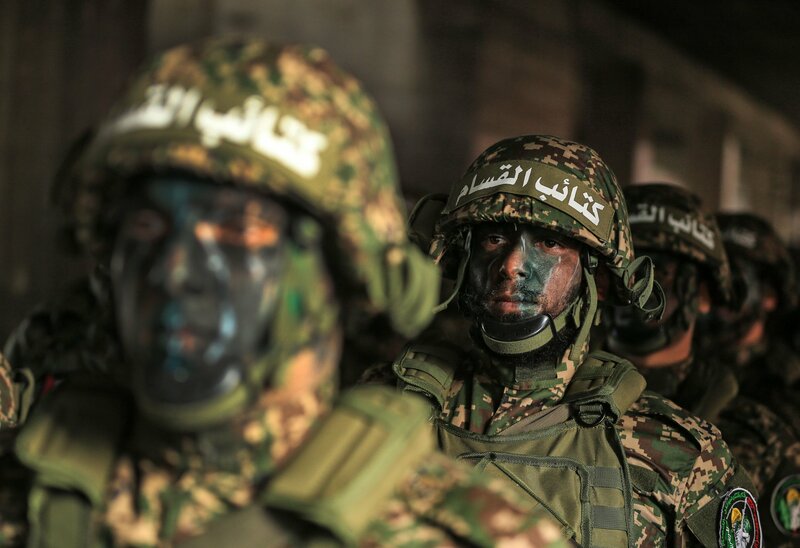 Palestinian militant group Hamas has arrested and tortured jihadis in the Gaza Strip in a bid to prevent rocket fire into Israel and new conflict. Hamas blames hardline Salafists for the launches. The rocket fire, which has gone on for the past 2 weeks, could be a result of Hamas's unwillingness to stop the launches quickly, due to vehement opposition of Trump's embassy decision. Ronald Lauder, President of World Jewish Congress, voiced criticism of the coalition deal reached between Austrian Chancellor-elect Sebastian Kurz's conservative People's Party and the far-right Freedom Party. "FPÖ members have expressed anti-Semitic sentiments, yet they oversee the interior, defense, and foreign ministries, three of the most important powerful fields of government." "For the first time, the BDS (Boycott, Divestment, Sanctions) movement is on the defensive but we must not underestimate the challenge," Israel's Minister for Public Security and Strategic Affaris, Gilad Erdan, told representatives of Jewish organizations last week in Brussels. Erdan, who is the minster responsible for coordinating the Israeli government's response to the BDS campaign. He also acknowledged that 'today we need a new approach to this fight' from a defensive approach to a more proactive, offensive one. A new fight over abortion has thrown a late obstacle into negotiations on the year-end stopgap spending deal days before a possible government shutdown. House Republicans say two ObamaCare measures that Senate GOP leaders are expected to attach to the stopgap as part of a deal with Sen. Susan Collins (R-Maine) must include Hyde Amendment language prohibiting the use of federal funds for abortion. Many House Republicans won't vote for stopgap that does not includes the ObamaCare measures without the abortion restrictions. Take the drama playing out in Congress over a year-end spending bill. Pour on some Obamacare controversy. Then spread some abortion politics on top of that. As if Republicans weren't divided enough over whether to prop up the Obamacare marketplaces with extra insurer payments for reinsurance and cost-sharing discounts, now abortion opponents are injecting more division into the fraught situation, insisting the payments must include long-standing protections to keep taxpayer dollars separate from abortion services. 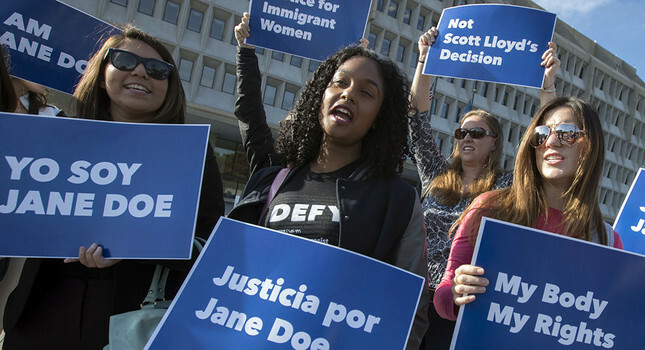 A looming Supreme Court showdown over abortion rights for immigrant children in federal custody appeared to be defused after the U.S. government released one of the pregnant teens at the center of the fight is an adult. Birth certificate for Jane Roe shows her to be 19, not 17 as previously thought. The age difference is significant because Immigration and Customs Enforcement tends to have fewer restrictions on pregnant women seeking to obtain abortions while in custody. A federal judge issued a nationwide injunction blocking the Trump administration's latest attempts to gut the birth control benefit in the Affordable Care Act (ACA). The ruling came in one of two lawsuits filed by states' attorneys general challenging the administration's efforts to end the benefit. In October, the administration released a final interim rule that allows most business to launch either a religious or moral objection to complying with the Obamacare mandate that obligates employers to provide no-cost insurance coverage of contraception. Twitter started enforcing anti-hate speech measures, banning some white supremacists. Richard Spencer and Charlottesville rally organizer Jason Kessler had their verification status revoked. 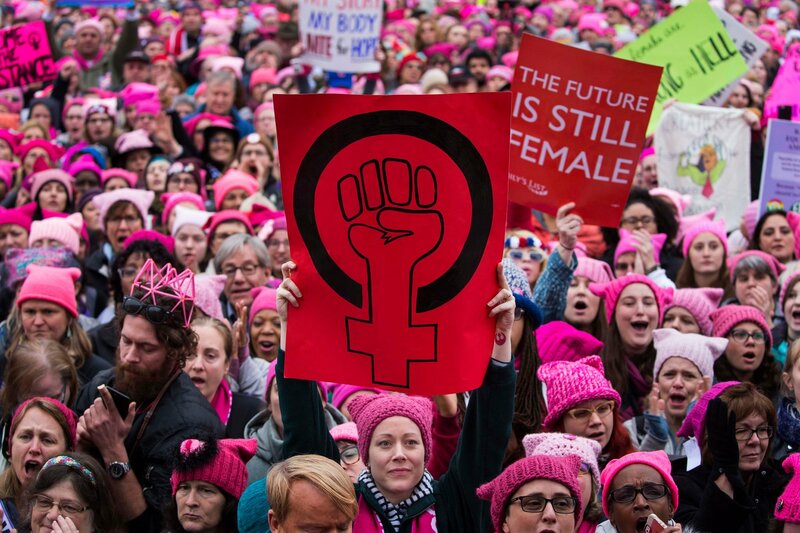 Users can now lose their blue checkmarks for "inciting or engaging in harassment of others," "promoting hate and/or violence against, or directly attacking or threatening other people on the basis of race, ethnicity, national origin, sexual orientation, gender, gender identity, religious affiliation, age, disability, or disease," supporting people who promote those ideas, and a slew of other reasons. Ben Carson praised Trump as a "courageous" leader while Mike Pence thanked him for "historic tax cuts". Carson's prayer expressed hope that "unity will spread beyond party lines, so people recognize we have a nation worth saving, and recognize nations divided against themselves do not stand." In a break with two decades of military planning, President Trump has eliminated climate change from his administration's list of threats to national security. The report comes amid a barrage of extreme weather events. Scientists announced this year global fossil fuel emissions will hit an all-time high. 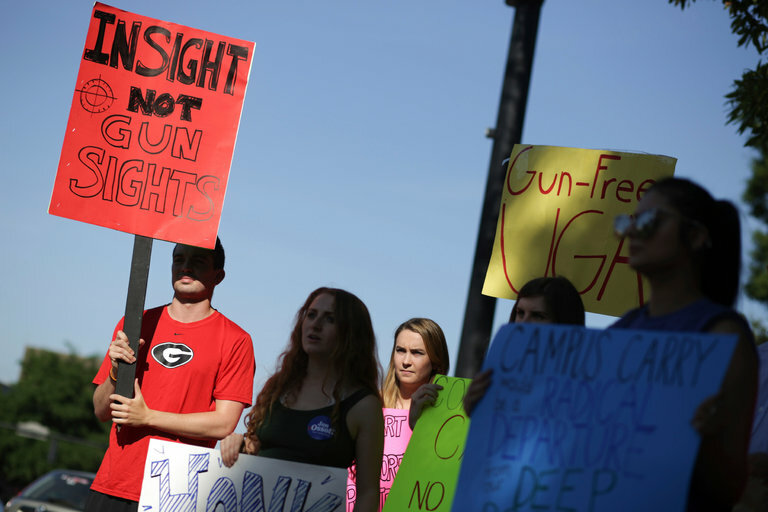 Earlier this month, the House of Representatives passed a piece of gun legislation that is at odds with the preferences of 83 percent of gun owners and 83 percent of Republicans. The Concealed Carry Reciprocity Act of 2017, which passed the House by a vote of 231 to 198, is the National Rifle Association's highest legislative priority and will next be considered by the Senate. The group behind an effort to start an independent redistricting commission in Michigan says it has turned in the signatures required to get the issue on the ballot. More than 100 volunteers and organizers for Voters Not Politicians gathered outside Michigan's Bureau of Elections building, standing in the rain and passing off box after box of petition sheets in a line from the road to the door. The final version of the Tax Cuts and Jobs Act omits some of the unpopular provisions that appeared in the House GOP's first pass at the bill. 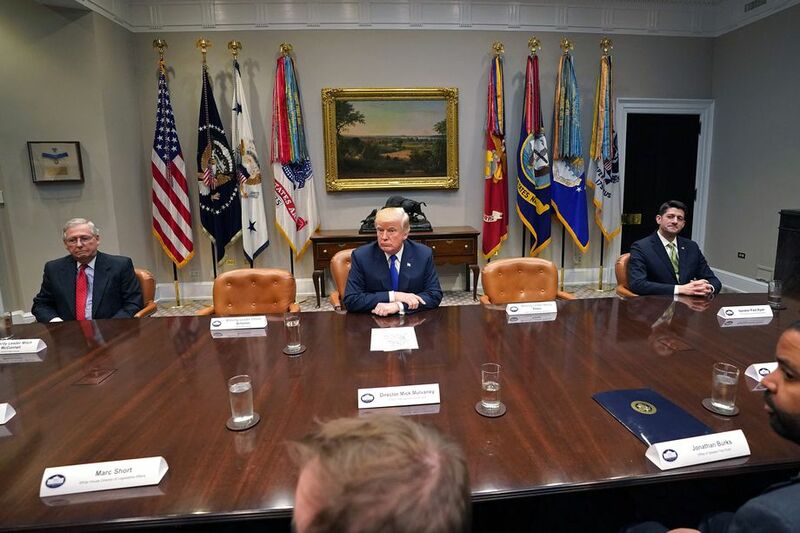 The initial version slashed deductions for medical expenses and student loans, erased another deduction for educators who buy their own school supplies, and weakened rules that prohibited religious organizations from endorsing political candidates. Although dollar amounts involved were often relatively small, the changes provoked a big backlash. As America approaches the end of Donald Trump's first year as President, the entire country can agree is that this has been a year like no other. And yet, not every development in the last year has been negative. Here are five of Donald Trump's greatest unintentional accomplishments. The Starkest Divide Americans See Isn't Black-White. It's Red-Blue. The divide between parties is real, measurable and trickles into other aspects of American life. More than half of Republicans & more than half of Democrats see other party's policies as a serious threat. 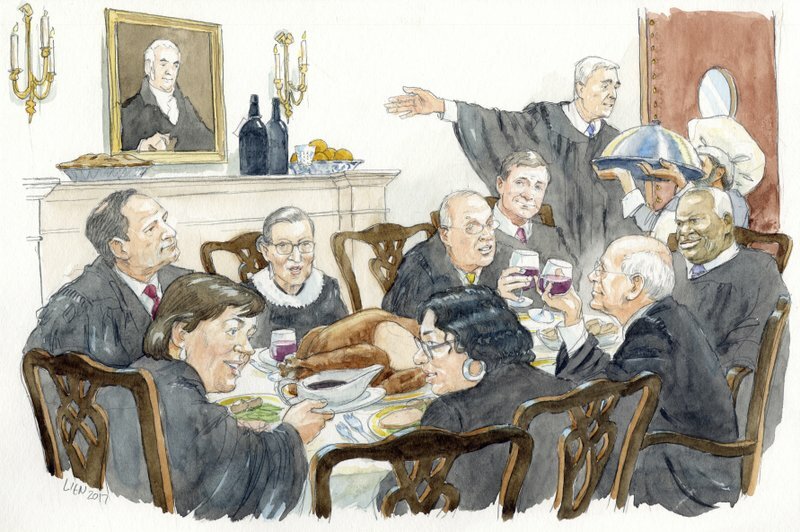 Every year Justice Sandra Day O'Connor sends her colleagues homemade beef jerky. The recipe is included in "Table for 9: Supreme Court Food Traditions & Recipes," coming out this month. Projects include involvement with the Auschwitz Museum and the establishment of POLIN Museum of the History of Polish Jews. The Warsaw Jewish Cemetery, established in 1806, has approximately 250,000 graves. It is the most recognizable Jewish cemetery in Poland. "My colleagues haven't learned from the last time they tried to pass an unpopular bill - Trumpcare - that the American people expect them to put country over politics. 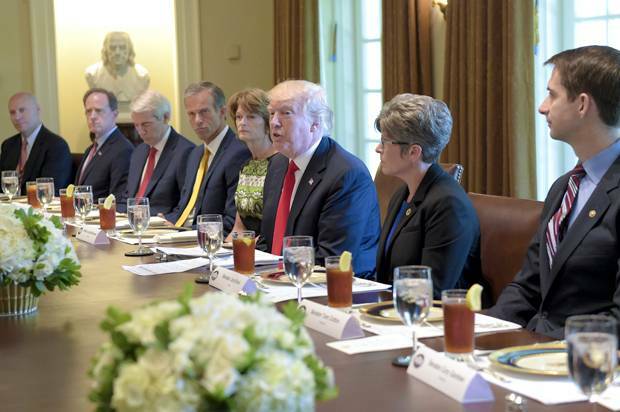 Our job is to strengthen our country and improve the lives of the American people and help them succeed."